On May 15, 2012, the United States and Colombia began trading under a free trade agreement called The United States-Colombia Trade Promotion Agreement (also known as the U.S.-Colombian Free Trade Agreement). As of that day, Colombia began importing without an import tax 80% of American goods coming to Colombia. By 2028, all goods originating in the U.S. will be imported by Colombia duty free. The agreement also makes it easier for American companies to provide services to Colombian consumers. The agreement has made it more economical for American exporters of goods and services and Colombian businesses to deal with one another. Many Colombian companies are also searching for contacts within the United States with which to develop business relations. Some are even looking to start an export business in the U.S. Under U.S. immigration laws, Colombian investors may even qualify for an EB-5 Visa to become a permanent resident of the U.S. if they invest money in a U.S. business. 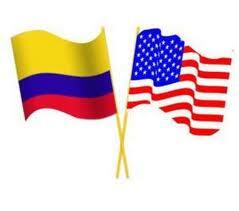 A U.S. attorney can establish contacts in the U.S. for Colombian clients while protecting the client’s interest. An attorney can also represent the Colombian client in negotiations with American businesses with whom the client has already established a business relationship. An attorney can help Colombians start a business in the U.S.
An attorney can help Colombian investors obtain permanent residence in the U.S. while starting a business in the U.S.
An attorney in the U.S. can prepare immigration documents necessary for travel between Colombia and the U.S. There may be other reasons to hire a U.S. lawyer. Colombians who are considering doing business with a U.S. company or who have other legal questions about The United States-Colombia Trade Promotion Agreement should contact a U.S. attorney.